Integrated Modern School (IMS) is a subsidiary of Modern School Group which was established in 1970 to meet the demand of Egyptians and residents of Egypt by providing semi internationally recognized degrees, with highest standards. Integrated Modern School will assist Egypt Government and private sector to realize the goals of the Egypt Government Strategy to build an Egyptian workforce that can effectively and efficiently manage the challenges of their future labor market. IMS’s curriculums are designed to equip students with the knowledge, practical skills and the maturity required in the workforce. 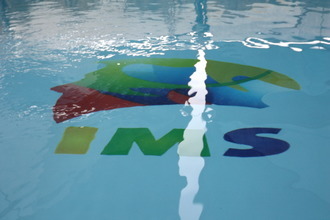 The priority at IMS is high-quality teaching and learning. Through an innovative curriculum, excellent resources, highly qualified and dedicated teachers, each student's individual learning style is catered for. Each student is strongly supported in their learning. Simultaneously, the students are encouraged in other areas of their learning, including music, debating, drama, sport, personal development and community service. Integrated Modern School, in the association with its international affiliates, adopted certain aspects of its curriculum more in line with the international standards. Integrated Modern School aspires to provide world class education. Its vision is to be one of the leading schools in the local industry. By expecting academic excellence, we inspire personal growth and develop intrinsically motivated global citizens who are committed to being leaders in community service and environmental responsibility.